Worley earned his first major league win against the Washington Nationals on September 19 of the same year while pitching in relief. Worley made his first Opening Day start against the Detroit Tigers at Target Field in Minneapolis on April 1, 2013. Subscribe to emails for exclusive access and to be notified of new content additions. In 2006, Young led all minor leaguers in stolen bases with 87. He then won the Arizona Fall League batting title, finishing with a .430 average. Young appeared in the 2009 Futures Game, hitting a three-run home run. Young made his major league debut on August 25, 2009, for the Colorado Rockies playing center field. He was the National League stolen base champion in 2013. He is the son of former professional baseball player Eric Young. Drafted in the 4th round (136th overall) by the Texas Rangers in 2010. Robinson was the Major League utility guy for the TX Rangers in 2017 and 2018, and he’s signed with the St. Louis Cardinals for the 2019 season. Drew is the perfect guy to talk defense because he has played just about every defensive position at the Major League level. Subscribe to our monthly update if you want to be notified of new content additions. The Cleveland Indians selected Gimenez in the 19th round (557th overall) of the 2004 Major League Baseball draft. He played Major League Baseball (MLB) for the Cleveland Indians, Seattle Mariners, Tampa Bay Rays, Texas Rangers, Chicago Cubs and Minnesota Twins. Currently Gimenez is part of the coaching staff for the Los Angeles Dodgers. Jose Trevino was drafted by the Texas Rangers in the sixth round of the 2014 Major League Baseball Draft. 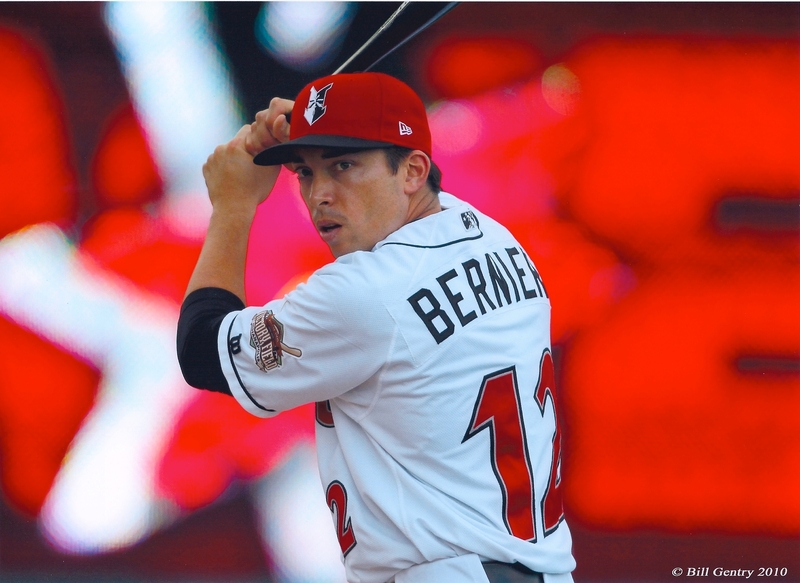 Trevino was awarded the minor leagues’ Rawlings Gold Glove Award for catchers, in both 2016 and 2017. Trevino made his major league debut with the Rangers on June 15, 2018, in a game against the Colorado Rockies. On June 16th, 2018, Trevino tied the game 2-2 in the 7th inning with his first major league hit, a RBI single. On June 17, 2018, Trevino delivered his first career walk-off hit, a 2-run single off of Wade Davis, giving Rangers the 13-12 win. AJ Achter debuted in the Major Leagues on September 3, 2014, for the Minnesota Twins, in relief against the Chicago White Sox. Achter was drafted out of Michigan State University his Sophmore year, after pitching a “lights-out” summer in the Cape Cod League (Source). He is currently the pitching coach at Eastern Michigan University. Wally Joiner is currently the hitting coach for the Detroit Tigers. Joyner was the starting first baseman in the 1986 All-Star Game, becoming the first rookie to be voted into the All-Star Game by the fans, and tied for first place in that year’s Home Run Derby. We are preparing for our up-coming Q&A with Wally right now! You can submit a question for possible inclusion, and win a prize if your question is selected. Just visit this Facebook post and leave your question, or Tweet it with #AskWally. Be sure to subscribe so you don’t miss Wally’s tips for hitting coming next week. Derrick May is the Hitting Coordinator for the St. Louis Cardinals (2011 – present). Before that he spent 6 years as a hitting coach in the Cardinals organization, and 17 years playing professional baseball, including 10 years in the Major Leagues. He also played three seasons in Japan, from 2001 until 2003, for the Chiba Lotte Marines, for 17 total years playing professional baseball. May batted left-handed and threw right-handed. After signing to play football/baseball at Virginia Tech. He was a .271 hitter with 52 home runs and 310 RBI in 797 Major League games played. In Japan, he hit an additional 59 home runs in just three seasons, batting .274. Derrick May is the son of the late major league outfielder Dave May. His brother, David May, Jr., is a Major League scout for the Toronto Blue Jays. 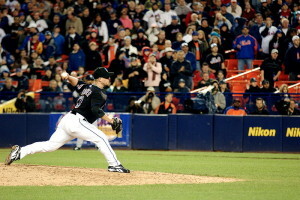 Billy Wagner, a 7x All-Star pitcher, had his first major league appearance with the Houston Astros in 1995. He went on to play for the Philadelphia Phillies, New York Mets, Boston Red Sox and retired from the Atlanta Braves in 2010. With a total 853 games pitched, he has 1,196 strike outs and an ERA of 2.31. What’s even more impressive is he is one of only 5 MLB players over 400 saves in their baseball career. On June 11, 2003 he pitched a combined no-hitter and was awarded the NL Rolaids Relief Man of the Year in 1999. Juan Pierre is a left-handed outfielder who played in the Major Leagues for the Philadelphia Phillies, Colorado Rockies, Florida Marlins, Chicago Cubs, Los Angeles Dodgers, and Chicago White Sox. Matt Treanor was drafted out of high school in 1994 by the Kansas City Royals. He spent ten years in the minor leagues before making his major league debut with the Marlins in 2004. Since then, he has also spent time with the Detroit Tigers, and Texas Rangers, and is currently with the Los Angeles Dodgers. Orioles scout Jim Thrift is a 28 year veteran of professional baseball, with experience in coaching, managing, and player development (Pirates, Mets and Reds) as well. Currently he is a scout for the Baltimore Orioles, having worked in the amateur, pro, and international divisions. Ryan Lavarnway is a professional baseball catcher in the Toronto Blue Jays organization. 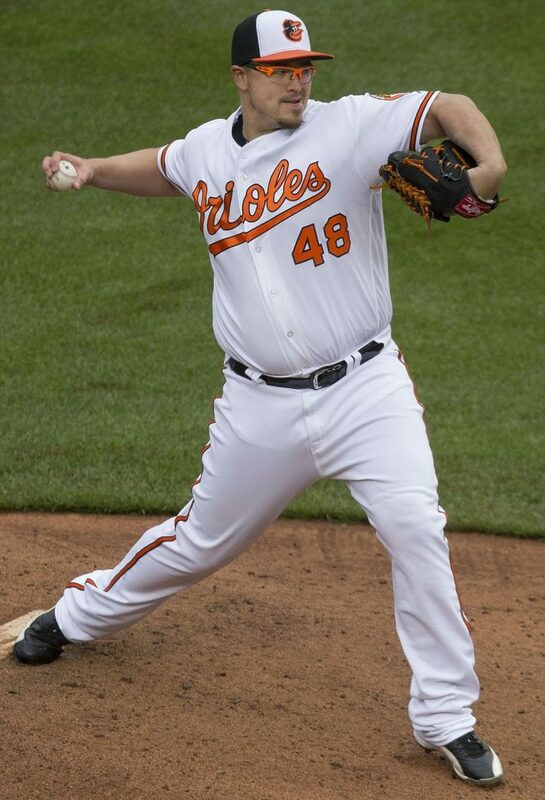 He has played in the Major Leagues with the Boston Red Sox, Baltimore Orioles, and Atlanta Braves. Lavarnway attended Yale University where he studied philosophy and played baseball for the Yale Bulldogs. In 2007-2008 he set multiple single season records, and also became the Ivy League’s all-time leader in home runs. Lavarnway was drafted by the Boston Red Sox in the 6th round of the 2008 Major League Baseball Draft. Lavarnway made his Major League debut with the Boston Red Sox on August 18, 2011. He started a key game in the September playoff race, hitting two home runs and four RBIs in an essential victory over the Baltimore Orioles. 2013 – Lavarnway spent over half of the season with the big league club and on the Red Sox playoff roster, earning him a World Series title and ring. Team Israel in the World Baseball Classic in 2016, where he went 5-12 with a two run home run, and will play in the 2017 World Baseball Classic in South Korea in March. He has pitched professionally for the Toronto Blue Jays, Oakland Athletics, LA Dodgers, St. Louis Cardinals, and Cincinnati Reds organizations. Amateur – After graduating from Deep Run High School outside Richmond, Virginia, McGuire played college baseball at Georgia Tech. While at Georgia Tech, McGuire was named to the 2009 All-America First Team by Collegiate Baseball, the 2009 All-America Second Team by Baseball America, the 2008 Freshman All-America First Team by Collegiate Baseball, and was the 2009 ACC Pitcher of the Year. Draft – Deck McGuire was drafted by the Toronto Blue Jays in the first round of the 2010 Major League Baseball Draft. 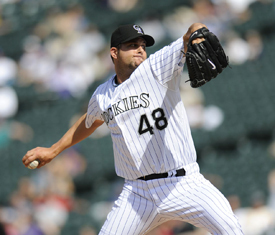 2008 SEPT 03: Jason Hirsh, starting pitcher for the Colorado Rockies. The Colorado Rockies vs the San Francisco Giants at Coors Field in Denver, CO. Photo: Ryan McKee/Rich Clarkson and Associates, LLC. Hirsh developed a passion for arm care and injury prevention when an injury essentially ended his own Major League pitching career. Since then, he has been dedicated to helping young baseball pitchers develop their velocity to maximizes their potential in a safe, effective way. Lee Tressel is currently the strength and conditioning coach for the New York Yankees AAA affiliate the Scranton Railriders, where he has been the strength coach for 6 years now. 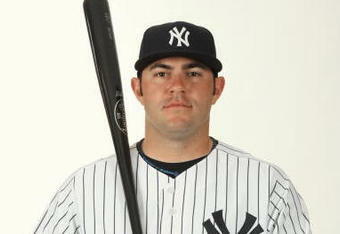 He spent the 2008 season in a similar position with the Yankees’ Double-A affiliate in Trenton, N.J. Prior to working in Trenton, Tressel served as the Yankee’s Assistant Strength and Conditioning Coordinator. During off seasons, Tressel works as a private strength trainer at a sports specific facility in Tampa, where he trains elite athletes ranging from youth to pro. Question: Who was the last pitcher to start a regular season game in the 20th Century for the New York Yankees? Answer: Jeff Juden – – who took the ball on the final day of the 1999 season after spending much of eight seasons in the big leagues with seven Major League clubs in addition to the Yankees. Right-handed pitcher Jeff Juden was drafted by the Houston Astros in 1989 and made his MLB debut in 1991. A 6’8”, 285 pound right hander, Jeff is one of the tallest players ever to put on a Major League uniform. Between 1991 and 1999, he played with Houston, Philadelphia, San Francisco, Montreal, Cleveland, Milwaukee, Anaheim and the Yankees. He was 5-0 in 1996 and 11-6 in 1997. Used as both a starter and reliever during his career, Jeff struck out 148 batters during the 1998 season. Cole Leonida is a defense-savvy catcher with 6 years playing for the Washington Nationals organization. He has generously provide 7 videos on the basics of catching. It’s a free email course on catching fundamentals, taught by Cole himself. David McCarty is a 1st baseman/outfielder who spent 15 years playing professional baseball, and of those 11 years in the Major Leagues. He was drafted in the 1st round by the Minnesota Twins (3rd overall) and went on to also play for the Giants, Mariners, Royals , Rays, Oakland A’s and finally 3 years with the Boston Red Sox before retiring.Now David leases and sells office and industrial properties in the East Bay, buying and selling investment properties with Lee & Associates of San Fransisco. He has recommended the Potocki-Lupski foundation, which is dedicated to helping those with Potocki-Lupski syndrome achieve their full potential as humans beings with a unique perspective and impact on this world. Chris Collabello has a highly unique story. After 7 years in the independent leagues, he finally got a shot to play with the Minnesota Twins. After being named the 2013 International League’s MVP and Rookie of the Year, Chris finally debuted in the Major Leagues in May 2013 with the Minnesota Twins. It is a truly inspiring story of perseverance and personal triumph. 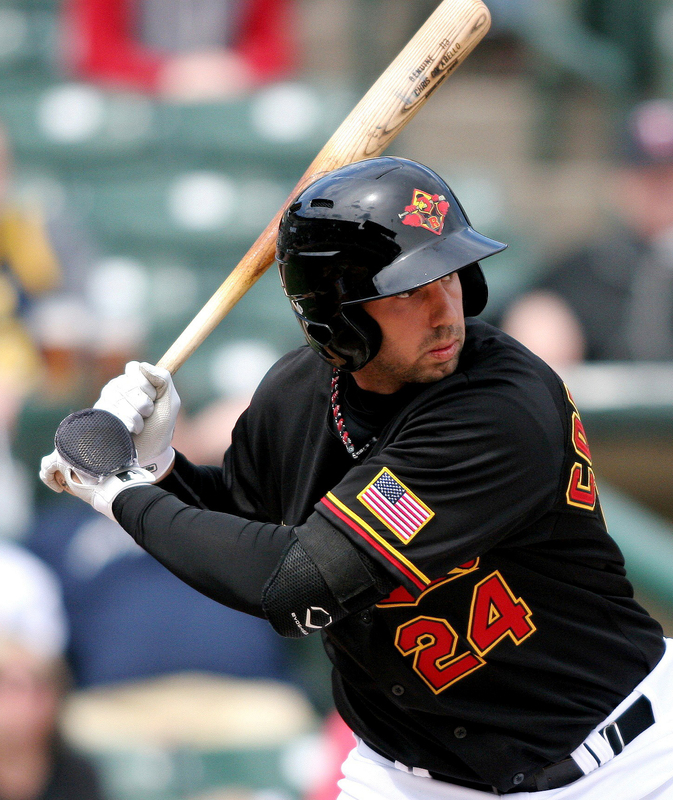 Anthony Slama: Drafted by the Minnesota Twins in 2006 out of the University of San Diego, Slama signed his professional contract after completing his college degree in 2007. Anthony made his major league debut for the Minnesota Twins on July 21, 2010, against the Cleveland Indians. He worked one inning, striking out two in finishing a victory. Anthony compiled a 2.49 ERA with an 11.8 K/9 ratio in 8 minor league seasons. A four time minor league all star, Slama was the Twins minor league pitcher of the year in 2008 with a 1.01 ERA in 71 innings while striking out 110 batters in the Florida State League. Slama was a participant in the 2010 MLB Futures Game held at Angel Stadium. Anthony is currently pitching for the Southern Maryland Blue Crabs of the independent Atlantic League, and is the main contributor for The Pitch Professor providing free pitching instruction from professional players. 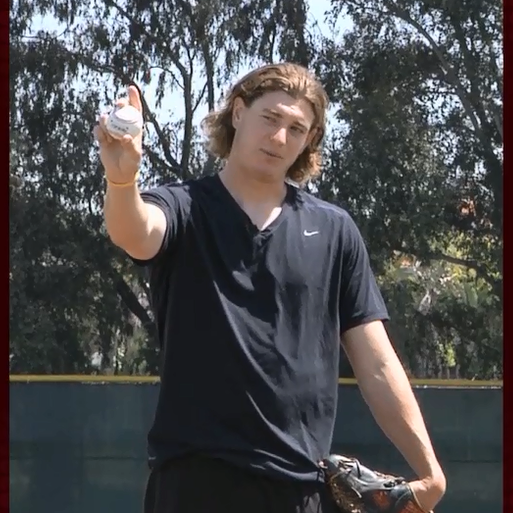 He is available to schedule pitching lessons in the Southern California area. Pro Pitching tips: Anthony Slama’s contributions to Pro Baseball Insider include: (1) How to Throw a Changeup; (2) More coming soon – be sure to subscribe to pitcher’s updates! 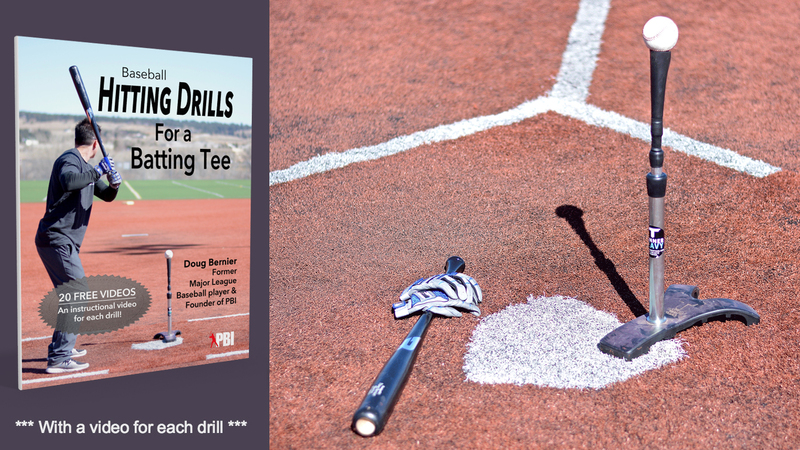 We will be adding more pitching instruction and tips soon. Join this list if you would like a monthly summary of new pitching video, interviews, and other pro pitching tips. 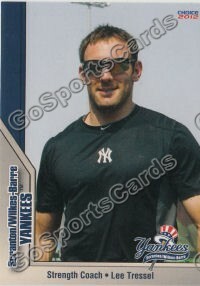 PJ Pilittere was drafted in the 13th round by the NY Yankees in the 2004 first year MLB draft. 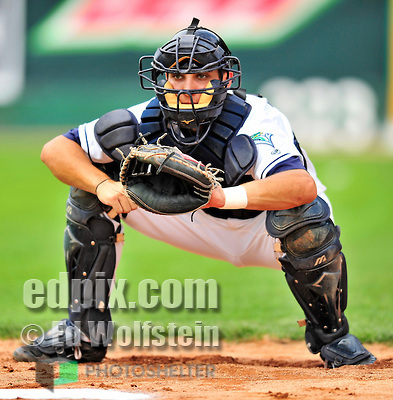 A tremendous defensive catcher that was the Eastern League Midseason All-Star for the AA Trenton Thunder in 2008. He has been in AAA Scranton-Wilkes Barre for the past three seasons. PJ played his college ball at Cal State Fullerton from 2001-2004. During that time the catcher/first baseman hit a career .320 with 9 home runs and 110 RBI’s. He helped the Titans reach the College World Series three times and helped lead them to the school’s fourth national championship in 2004. In 2003 PJ earned himself a spot on the CWS All-Tournament team. Over 4 season behind the plate and at first base with the Titans, he compiled a .993 career fielding percentage and a perfect 1.000 in 2003 splitting time with former teammate Kurt Suzuki. PJ loves baseball and is very good at what he does, after the 2011 season he accepted a coaching position with the NY Yankee organization. We are fortunate to have such a knowledgeable and hard working person contributing to the website. After signing with the Chicago White Sox out of the University of Cincinnati, Kevin spent 6 years playing professional baseball for numerous teams. Upon retiring as a player, Kevin immediately got into coaching. Kevin is the founder of Kevin Wilson Baseball. For the last 11 years he has been a private hitting instructor for players in MLB, MiLB, NCAA and High School. He also travels the country speaking at clinics and coaching symposiums. To contact Kevin or learn more, check out Facebook.com/KWBaseball. Bill Sandillo signed with the Cincinnati Reds in 1986, but his playing career was hindered and cut short by injury. After moving into coaching and front office capacity, Bill now has 15 years experience in professional baseball with 7 teams – including a world championship during his time with the Arizona Diamondbacks. Currently, Bill is CEO of Predator USA, and the founder of the National Coaches Certification Association. 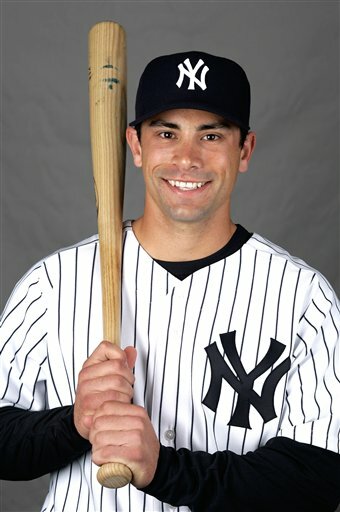 Kevin Russo was selected out of Baylor University in the 20th round of the 2006 first year player MLB draft by the New York Yankees. In 2009, he was added to the Yankee’s 40-man roster to protect him from the Rule 5 Draft, and made his major league debut on May 8, 2010. Since then, Russo has shared time between the majors and the New York Yankee’s Triple A team in Scranton, PA.
As a collegiate he helped lead the Bears to a 2005 College World Series appearance. Russo received All-Big 12 conference Honorable Mention in 2005 and was named to the 2006 preseason All-Big 12 Conference team by Baseball America. His senior year in high school in Boulder, Colorado he was CO-All State running back with Lendale White. 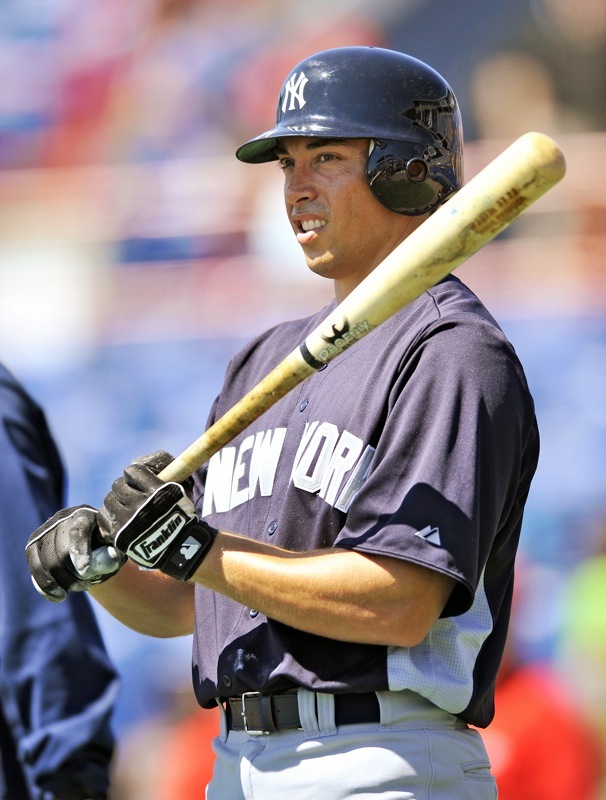 Russo skyrocketed through the minor leagues hitting very successfully at every level. Even though he came up as a second baseman he has worked on his game to become a tremendous 2nd baseman, 3rd baseman, and outfielder. Van Every was drafted by the Cleveland Indians in 2000, and signed with the team in 2001. Until 2007, Van Every remained in the Indians organization. His best season in 2004, he hit .276 with 21 home runs. He was an Eastern League All-Star in ’05.. 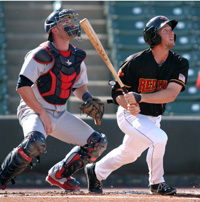 Following the 2007 season, Van Every became a minor league free agent. The Boston Red Sox signed him to a minor league contract for the 2007 season. Van Every’s major league debut was with the Red Sox on May 14, 2008, when he started in center field. His first major league hit was against Daniel Cabrera. His 1st major league home run was hit in April 2009 against the Cleveland Indians. 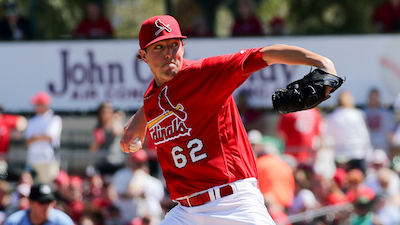 Fun fact – the next day, Van Every pitched the final two thirds of the 8th inning agains the Tampa Bay Rays. 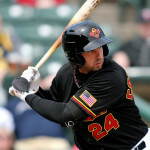 Van Every spent 2009 and part of the 2010 season with the Pirate’s triple A team, the Indianapolis Indians, until he was traded back to the Red Sox on April 24. Although an outfielder by trade, Van Every was again called on to pitch – striking out one batter, and giving up a two-run home run to Mark Teixeira. On May 31, the Sox traded Van Every back to the Pirates in exchange for catching prospect Josue Peley. Lance Marks was drafted in the 3rd round out of high school in 1990 by the Atlanta Braves. He spent five years in the Atlanta Braves minor league system, playing 1st and 3rd base, before vision problems ended his baseball career. Currently Lance is a Senior Web Graphic Designer at TransUnion Interactive. 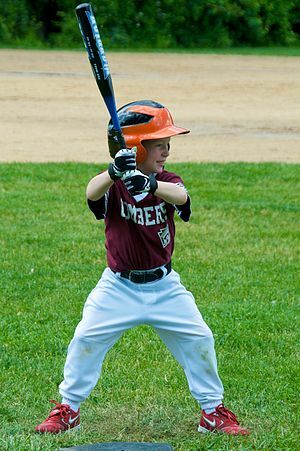 See pro baseball tips and advice from Lance: Should baseball players go pro out of high school? John holds a Master’s Degree in Counseling Psychology with a specialization in Sports Psychology and is presently a doctoral candidate in the field. John brings a multifaceted approach to the mental aspects of sports and health. Combined with his experience in Clinical and Applied Sports Psychology, John has extensive experience teaching, and mental game coaching athletes in professional, college, high school, and middle school sports. In addition, John’s personal experience playing at the minor league level in the late 70’s is testament to his ability to apply the concepts he teaches; perseverance, belief in the self, and mastery of the mental game. John is available to consult and counsel with athletes at all levels, sports teams, coaches, families, and organizations. He is also available for workshops and invited talks and can be reached at www.protexsports.com. Please contact Sarah Bernier at Sarah(at)probaseballinsider.com if you have any questions about this page.